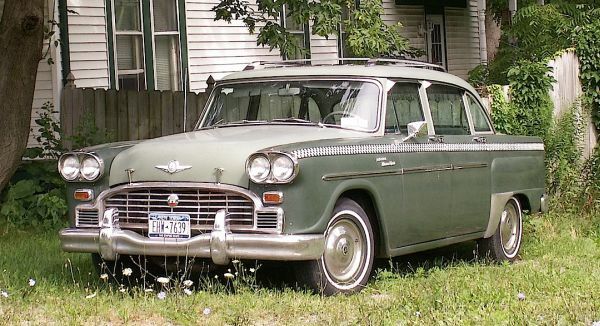 A 1964 Checker Marathon… and it’s not yellow! Yes, you could buy these things to use as your everyday car; they weren’t available only to taxi companies. This one does kind of look like a former cab though, what with the checkerboard stripe and the luggage rack on the roof. If you’ve ever been in one you probably remember them as being just about the roomiest sedans on the market — they probably still are! (The roomiest sedans, that is, just no longer on the market.) This one’s sitting in Clarence. Jim Corbran, RRofWNY …and check out our Facebook page: Non-American Classic Cars The post RealRides Of WNY appeared first on Buffalo Cars.